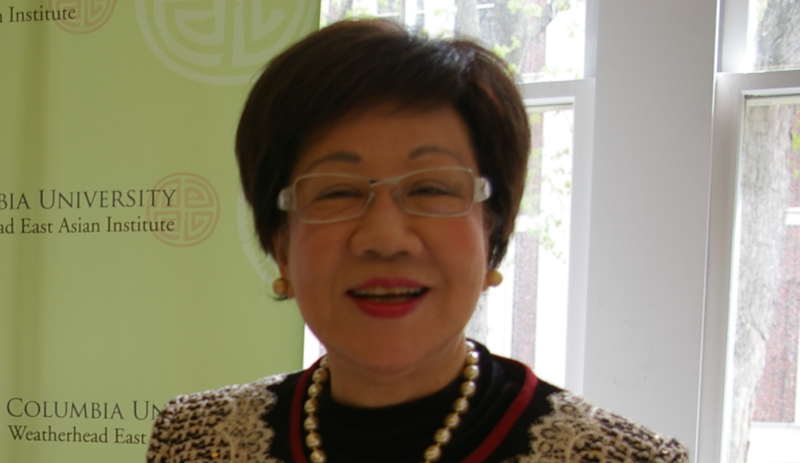 Annette Hsiu-lien LU is former vice-president of the Republic of China (Taiwan). She spoke to EURACTIV’s editor-in-chief Daniela Vincenti. Should Europe worry about tensions in the Asia-Pacific region? This is why I am here. I know people in Europe are worried about terrorism and the refugee crisis, but starting tomorrow attention should be paid to East Asia as well. The newly-elected Philippines President Rodrigo Duterte is on a four-day visit to China. I worry about that. The Philippines has been a strong ally of the United States for over 100 years. Shortly after his inauguration, Duterte claimed openly that he is not a fan of the Americans and wants to reorient foreign policy. He complained that the US has not apologised to the Philippines for the atrocities during the Philippines-American War. He even said that Obama can go to hell. One of his communication advisers said that it is enough to have food offered by other countries, and it is time to try Chinese dishes. If the Philippines get closer to China and China is closer to Russia and North Korea, that means that means that a new authoritarian bloc will be formed, making the American ‘policy pivot to Asia’ harder to sustain. This is a new situation that Europe should be concerned about. But with the pivot to Asia the United States tried to isolate China. Was that a smart move? I cannot say whether it was smart or not. We need to wait and see. But I would like to underline that from now on the United States will be in a very awkward situation until a new president takes office. But if the Philippines, which was strongest ally of the United States in Asia, changes its policy that is a big challenge for Washington, and also a big challenge for democratic alliances in Asia – namely Japan, South-Korea, Taiwan. They have been America’s allies to counter communist forces since the 1940s. South Korea’s geographic position makes it hard to resist to China, especially after China’s rise in recent years. President Park Geun-hye has to deal with China and the US carefully, trying not to offend Beijing and keeping a distance from Taiwan. On the other side, Japan and South Korea are close neighbours, and share fundamental values and common interests in maintaining regional peace and security, but the relationship is not stable due to disputes on territorial claims on Liancourt Rocks. All these tensions have complicated American efforts to promote a common front against Chinese threats in the region. The maritime disputes in South China Sea are surely a symptom of the rising power of China. Does Taiwan have a peaceful pivotal role in the region? Taiwan is a tiny country but we are an aspiring soft power. Being located between the world’s largest mainland and at the centre of the first island chain in the Asia Pacific, it occupies a strategic position which is undeniable and irreplaceable. Taiwan Strait is important for international air and sea transport, with over a thousand planes and vessels passing through each day. Taiwan stands at the pathway and is pivotal to the freedom of navigation in the Taiwan Strait and the South China Sea. Can you imagine what will happen if this amazing ocean state becomes China territory? 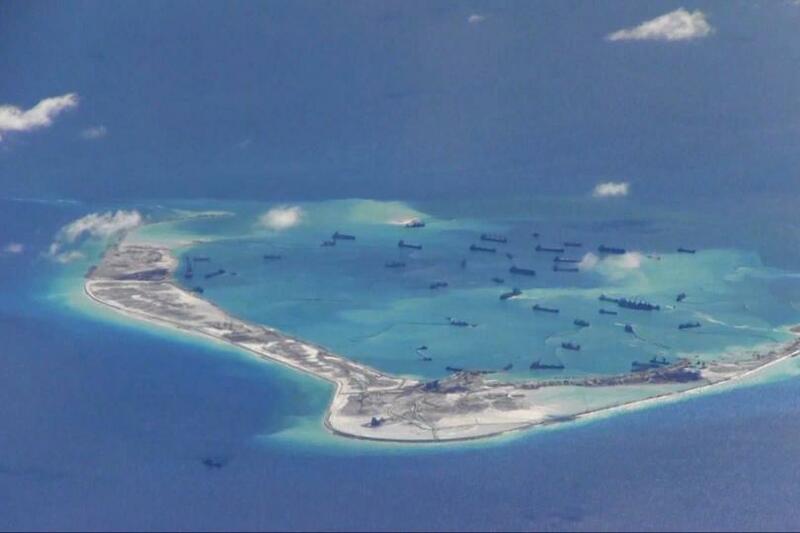 Geopolitically and strategically, while the US tries to strengthen the first island chain, China seeks to breach it. If China controls Taiwan, its ships and aircraft will have free access to the Pacific Ocean and directly challenge the US-Japan alliance. But last November a meeting between President Xi Jinping of China and President Ma Ying-jeou of Taiwan in Singapore was hailed as historic. Are you saying that was a just for show? The people of Taiwan did not think it was a historic moment. That is why the party of President Ma failed shortly after the meeting. That means people of Taiwan were not happy so his party collapsed. The majority prefer to be on their own by accepting the so-called 1992 consensus. We feel that we need more respect and recognition from the international community. If one day throughout a referendum, people want to become a neutral country they should be listened to. China is in the process to annexe Taiwan softly and silently. Are you saying Taiwan is in danger? Not in danger, but at a critical moment. China’s President Xi Jinping made it clear that to enrich the country and empower the army are the Chinese dream, a dream to make China a global hegemon. According to this Chinese dream, China plans to develop the nation into a well-off society by 2012, the year of the Chinese Communist Party’s 100th anniversary. And in 2049 the year of the PRC’s 100th anniversary, China will replace the US and become the world’s sole superpower. China’s creation of artificial islands and disputed South China Sea reefs represents Beijing’s attempt to extend its territory and to expand its military bases. I don’t think other countries are happy about this development. A rising China, with rising tensions is a rising problem. What can the EU role be in this? Taiwan aspires to be a permanent neutral nation. It seeks to safeguard its independence and sovereignty through a self-reliant national defence, democratic institutions and a free and sustainable economy. That is why I am advocating for our country to hold a referendum to determine our own destiny as a neutral state. Yes, we aspire to become the Switzerland of the Orient and a beacon in Asia. This is why I am here to get the support of our friends. We need a peace initiative, based on the spirit and principles of the 1959 Antarctic Treaty signed by 50 countries. Thanks to it Antarctica has been preserved. To preserve peace in the region, Taiwan aspires to be a permanent neutral nation. The European Union should refrain from taking any action that constitutes interference in the South China Sea issue, Yang Yanyi, China's ambassador to the EU, told EURACTIV.com. What a load of rubbish, Mrs Lu look at yourself, you tried to talks like a westerner,acts like a westerner and call yourself Annette.But you are a Chinese, you are a bloody traitor,shame on you. How can you support a terrorist sponsored Americans and war criminals Japnese to contain uprising China. Go to hell, how can Brain washed person like you be neutral . communist chena is a cancer. No one wants to be part of oppressive murdering chena. No freedoms, no rule of law, no human rights. Stealing, lying, bulling = xii and his ccp gangsters should be in the Hague for crimes against humanity for the genocide of Tibet, organ harvesting, even kidnapping writers from Hong Kong.